Many people have questions about the proper use of antibiotics — especially today, as the overuse of these medications has become a concern. 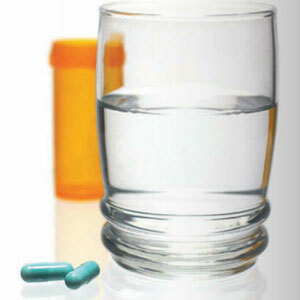 It isn’t necessary for most people to take antibiotics before having a dental procedure. But for a few — notably, those with particular heart conditions and, in some cases, joint replacements — pre-medication is advisable. The question may be even more confusing now, because the standard recommendations have recently changed — so let’s try and sort things out. First, why would anyone need antibiotics before dental treatment? Essentially, it’s because of the chance that an open wound could allow bacteria from the mouth to enter the bloodstream. For people in good health, the body is capable of quickly containing and neutralizing the bacterial exposure. But people with some types of heart disease, heart transplants, and/or total joint replacements have a greater likelihood of developing a bacterial infection, which can be dangerous — or even life-threatening. The same may be true of people whose immune systems are compromised. In addition, not everyone who has an artificial joint needs antibiotic premedication. Instead, your health care providers will rely on your individual medical history to determine whether this step is required in your situation. However, having a compromised immune system (due to diabetes, cancer, arthritis, chemotherapy and other factors) is still an indication that antibiotics may be needed. The question of whether or not to pre-medicate is an important one — so it’s vital that you share all relevant medical information with your doctors and dentists, and make sure everyone is in the loop. That way, the best decisions can be made regarding your treatment. If you have questions about premedication before dental treatment, please contact us or schedule an appointment for a consultation.